An outstanding group of new principals was selected from 36 administrators who applied. With Superintendent Uselton, center, from left, Daniel Cooperwood, Tonja Hellums, Leighanne Wamble, Carol Smith, Michaela Smith, and Stacey Pirtle. 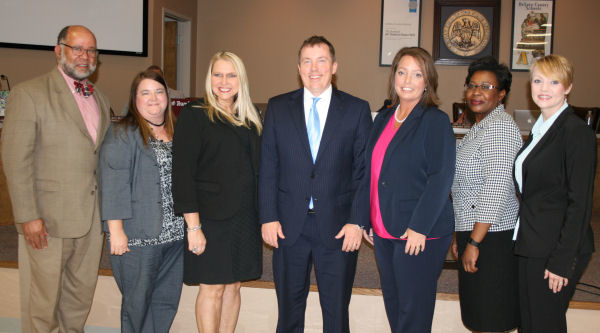 The DeSoto County Board of Education approved several key administrative changes in the school district’s executive staff, effective July 1. Dr. Jerry Floate will return to Hernando Middle School where he served as assistant principal for six years. For the last five years he has been the principal of Olive Branch Middle School. Beth Turner, currently principal at Career & Technical Center East, will become principal at Olive Branch Middle School. Phillip Sublett, Director of Vocational Education, will continue in this role and will take over as principal at Career & Technical Center East. Lisa Steiner, currently the principal at Oak Grove Central Elementary School, will become principal at Lake Cormorant Middle School. 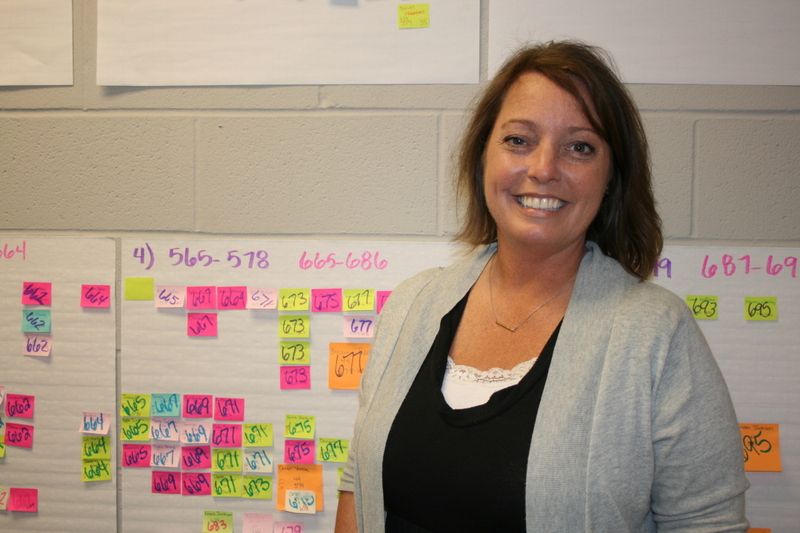 Stacey Pirtle, assistant principal at LCMS, will become principal at Oak Grove Central Elementary School. Carol Smith, assistant principal at LCMS, will take the helm of Lake Cormorant Elementary School. Leighanne Wamble, presently the assistant principal at DeSoto Central Primary School, will lead Olive Branch Elementary School. Tonja Hellums, Director of Student Records, Transcripts and GED, will become principal at Olive Branch Intermediate School. Michaela Smith, assistant principal at Hernando Hills Elementary School, will take over as principal at Shadow Oaks Elementary School. Daniel Cooperwood, assistant principal at the DeSoto County Alternative Center for the last twelve years, will now be principal of the facility. 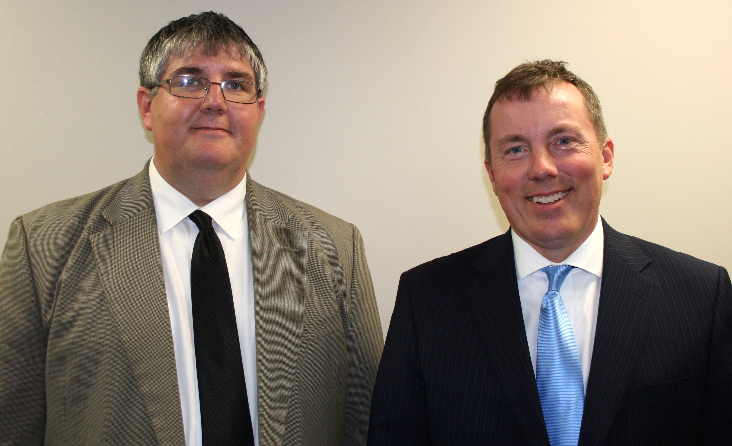 Rob Chase, pictured with Superintendent Uselton, has been named the new Chief Operations Officer for DeSoto County Schools. Rob Chase, currently principal at Hernando Middle School, has been named as the Chief Operations Officer for the school district. This job assignment is a reclassification of the current position of chief Instructional Technology Officer. He will be responsible for district operations, including technology, maintenance, transportation, child nutrition, residency and security. Lucy Hasselman has been named Director of Special Education. She previously has served as Director of Federal Programs. Kyle Brigance has been named Director of Transportation. He has been Director of Security. 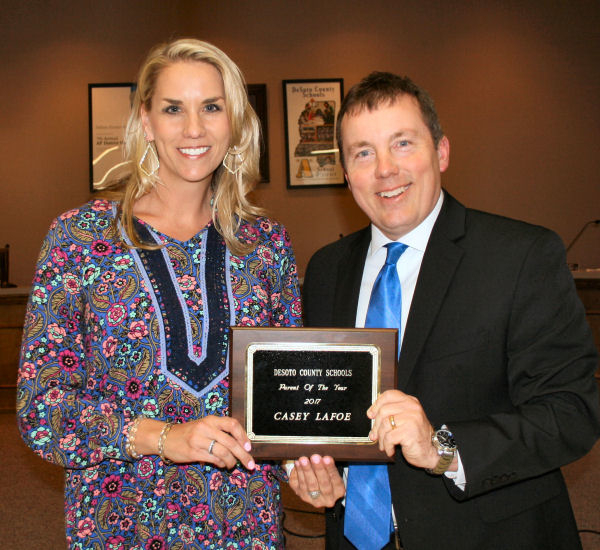 Casey LaFoe has been named the DeSoto County School District’s 2017 Parent of the Year. LaFoe is an energetic member of DCP’s PTO. 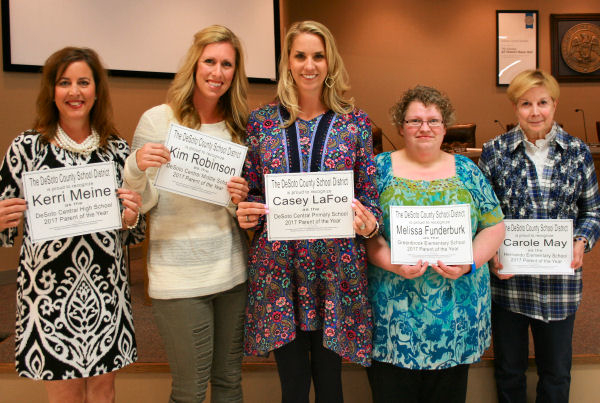 She served as PTO secretary for three years, and this year she is their PTO president. She volunteers as a liaison between the teachers and parents through her strong communication skills. Since she spent seven years working as a counselor, she feels she can see school issues from both sides, as an administrator and as a parent. "She is always willing to collaborate with us on the pressing needs of the school and how the PTO can meet student/teacher needs,” Principal Long said. Her undergraduate and graduate degrees in psychology and school counseling are from Mississippi State University. She resigned from the counseling position four years ago when she had her second child and began a volunteer role in her children’s schools, church and community. “Casey is known for her kindness, intelligence, work ethic, positive attitude, teamwork, leadership, diligence, and willingness to go above and beyond for children and staff,” said Lori Bowles, a teacher at DCPS. The award is part of the Mississippi Department of Education’s Parent of the Year Program, which invites each school district to select an outstanding parent who has made a significant commitment to their local school. MDE will then select a Mississippi Parent of the Year. LaFoe and her husband, Macon, have a son, Trip, a second grader at DeSoto Central Primary School. The couple also has a daughter, Macy, who is a rising kindergartner. "We serve our schools because we love our schools,” LeFoe said. 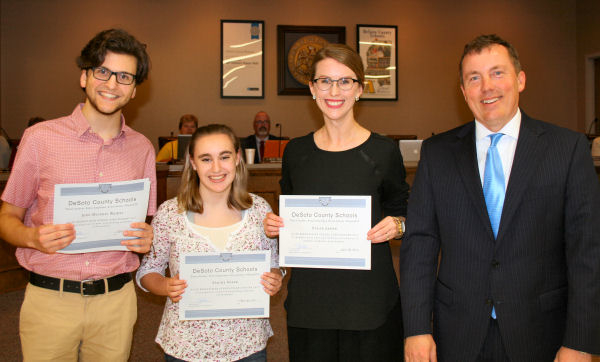 The DCS School Board recognized two separate programs—Valedictorians/Salutatorians and Star Students/Star Teachers. Both programs celebrate academic excellence. Valedictorian status is awarded to the student earning the highest grade point average in the graduating class. Salutatorian status is awarded to the student earning the second highest grade point average in the class. Many colleges and universities award scholarships for having one of these credentials. The Mississippi Economic Council sponsors the Star Student/Star Teacher Scholarship Program. The Star Student at each high school is selected for having the highest score on the ACT. The Star Student selects the teacher who had the greatest influence on his or her academic career. 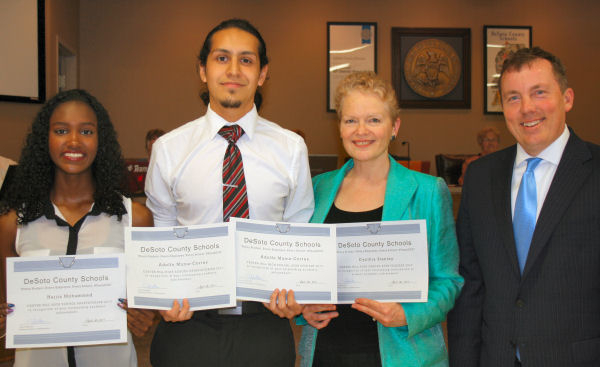 Center Hill High: Sal--Hajjia Mohammed, Val--Adolfo Muniz-Cortes, Star--Adolfo Muniz-Cortes, Star Teacher--Cynthia Stanley. 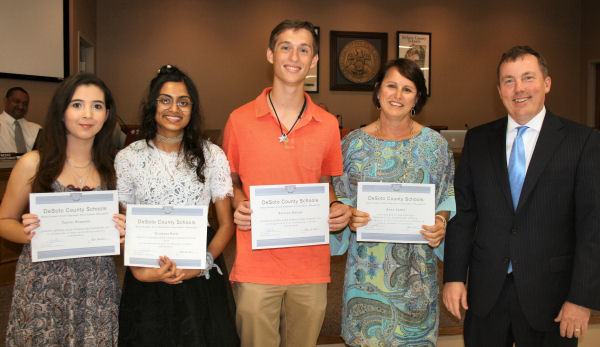 DeSoto Central High: Sal--Taylor Brunson, Val--Grishma Patel; Star--Patrick Nelsen; Star Teacher--Anna Lusby (PHES). 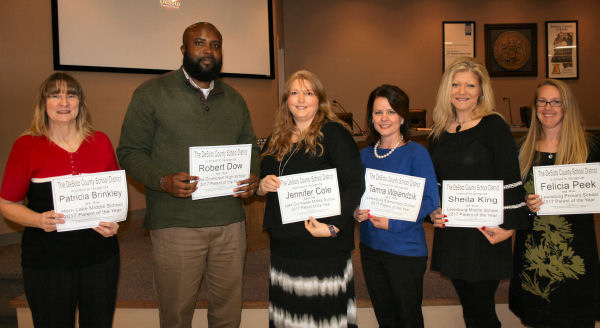 Hernando High: Sal--Cashen Stark, Val--Kathryn Cavitt, Star--Paul Swift, Star Teacher--Tonya Floate. 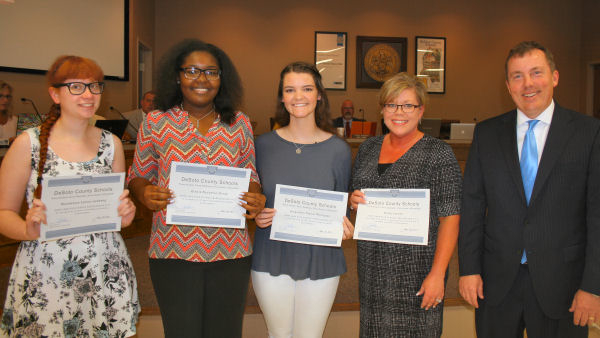 Horn Lake High: Sal--Mackenzie Ladewig, Val--Alexis Givan, Star--Jacquelyn Woitesek, Star Teacher--Dawn Joyner. 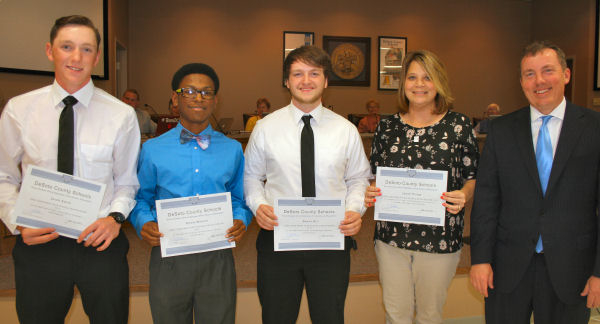 Lake Cormorant High: Sal--Jacob Smith, Val--Donte Malone, Star--Reece Hill, Star Teacher--Jamie Young. 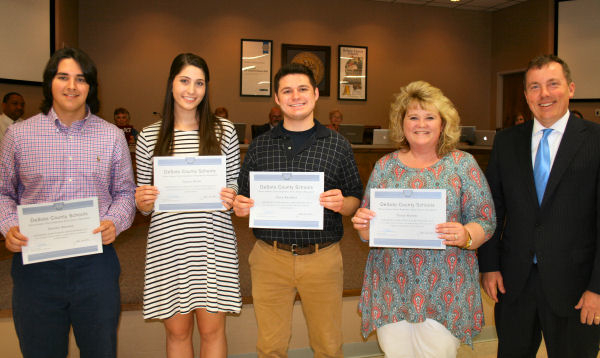 Lewisburg High: Sal--Garrett Reeves, Val--Taylor Bond, Star--Cory Baldwin, Star Teacher--Tracy Hunter. Olive Branch High: Sal--John Michael Walker, Val--Shelby Seese, Star--John Michael Walker, Star Teacher--Claire Leeke. 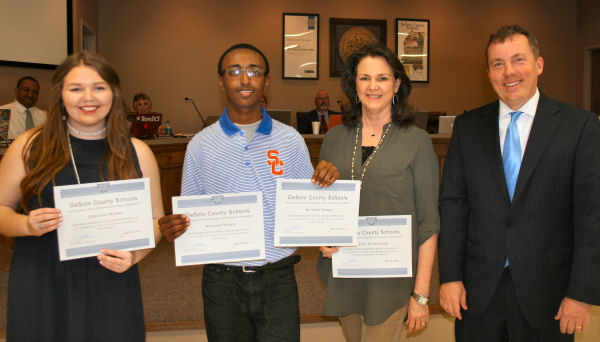 Southaven High: Sal--Gabrielle Hunter, Val--Anteneh Tebeje, Star--Anteneh Tebeje, Star Teacher--Julie Pasterchick. 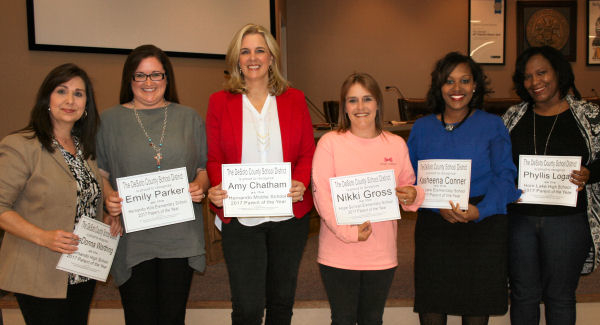 From left, DCES Principal Lisa Nye and Citizens National Bank employees: DeSoto Marketing President Kyle McCoy, Relationship Banker Lance Peacock, Olive Branch Bank Manager Linda McCants, and Southaven Bank Manager Latrice Robertson. 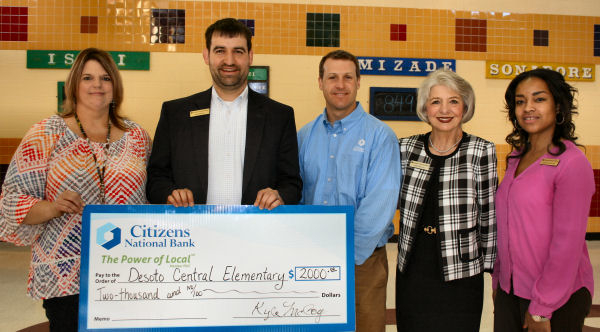 DeSoto Central Elementary School has a generous and supportive Adopt-A-School Partner. Citizens National Bank donated $2,000 to support programs and activities at the school. The Barksdale Reading Institute selected eight educators across the state to receive the Mississippi Principal Impact Fellowship. Lake Cormorant Middle School Assistant Principal Carol Smith (LCES Principal beginning July 1) was one of the elite educators selected. Smith addressed professional learning. She said while the District provides wonderful resources including specialists and continuing education classes, she wanted to provide an easy way to encourage professional growth that will have a positive impact on teacher practices and student achievement. Her idea was selected. Smith’s school received a $10,000 grant to put her ideas into practice. When teachers are training, the grant will pay for substitute teachers and all needed supplies, including book studies and support materials. If her plan works as well as she hopes, she believes it can be replicated, and other schools can put these practices into place. 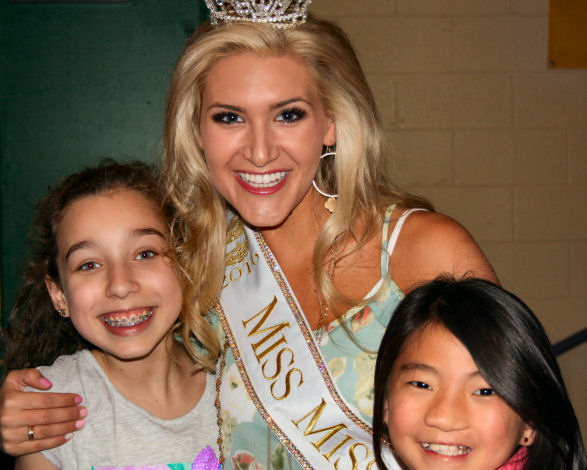 Students at Horn Lake Intermediate and DeSoto Central Elementary Schools got lessons on the dangers of tobacco use from Miss Mississippi 2016 Laura Lee Lewis. Sponsored by the Mississippi Academy of Family Physicians, Lewis first discussed “Tar Wars,” a tobacco-free education program designed to teach kids about the negative health effects of tobacco use. Students got to see visuals of rat poison, glue, bathroom cleaner and roach repellent. She said that some of the chemicals in these products were also in cigarettes. “Smoking is not cool. It harms your bodies,” she explained. A senior at Mississippi State University, Lewis told students about a friend who is considered cool, Dak Prescott, former MSU quarterback. Prescott is the current quarterback for the Dallas Cowboys. She explained how he is a good example of her HERO Program, not just because he is a great quarterback but because he HONORS his teachers/mentors and himself, EXCELS at everything he tries, REACHES for his goals and OVERCOMES any obstacles in his way. Fourth and fifth grade students listened to Lewis' message. She particularly caught their attention when she said she was bullied as a child because of her looks. She had a protruding jaw and an underdeveloped bone in her face that required two separate surgeries. Until she recovered from the surgeries, she said she was often told that her “face was weird and something was wrong with her.” This was hard for students to grasp when they saw this confident, beautiful young lady standing before them. “You reach higher, you work harder when you have a goal in mind,” she said, explaining she entered the Miss Mississippi Pageant four times before she won. She represented Mississippi well at the Miss America Pageant placing in the top five contestants. 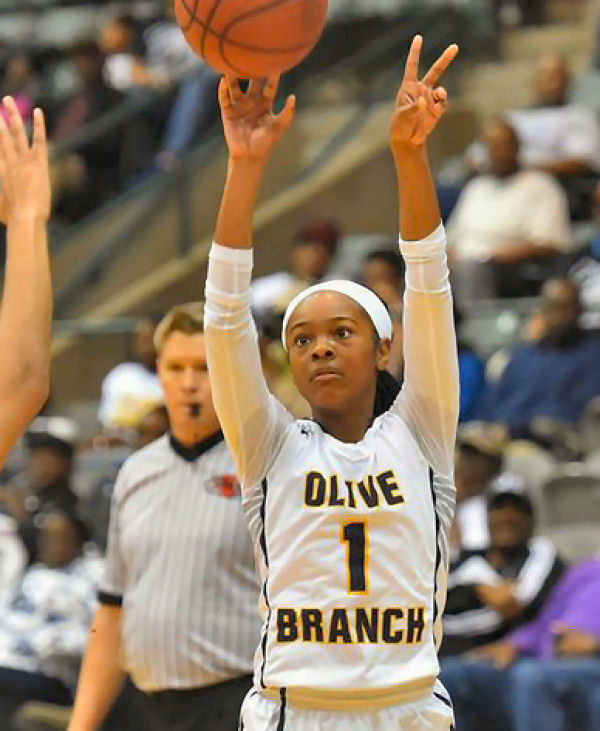 Myah Taylor, a petite Olive Branch High School senior, was named as a third team All-American by USA TODAY, making her one of the top 15 girls’ basketball players in the country. She has the respect of her peers winning MVP titles five separate times, being Gatorade Player of the Year for the third consecutive year, and helping orchestrate a state championship for OBHS. When she is not playing basketball she is studying. She has never made a “B” in high school and will graduate with a 4.16 GPA. 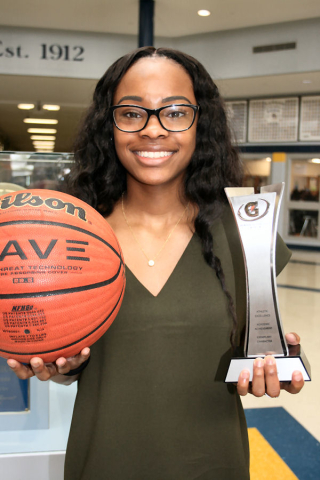 She has signed a scholarship to play ball for Mississippi State University, a team that just broke UCONN’s 111 winning streak at the Final Four. If her high school career foreshadows her college days, she will help keep Mississippi State in the national forefront. Winning the Class 6A state title was a dream Myah has been pursuing for the last four years. Next year, OBHS will be a Class 5A school. Their biggest threat has been Horn Lake High. "It is a blessing we will not play HLHS any longer,” Thompson said. He said this was their toughest battle this year on several levels. He says they are a relentless team and their coach-- Janna Thompson—is one of the best high school coaches he has ever seen. She is also his wife. "In every all-star game I've tried to represent my school and the state of Mississippi in a good way," Taylor said. "It didn't happen overnight. It didn't happen quickly. That's the special thing about me though, when I set my mind to something I'm going to go get it no matter what. When they see me they see where I'm from, which is Mississippi." 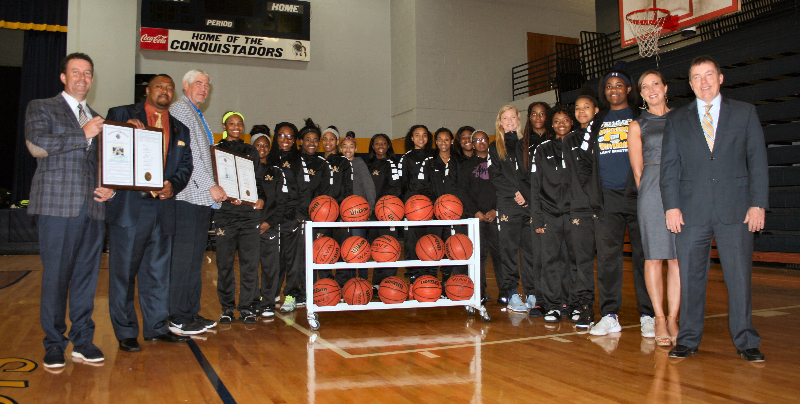 Senators David Parker and Kevin Blackwell presented OBHS girls' basketball team and Coach Thompson with a resolution. Principal Allyson Killough and Superintendent Uselton were in attendance. Olive Branch High finished in 14th place in the USA Today poll. Both the City of Olive Branch and the DeSoto County Board of Supervisors have issued proclamations recognizing the team’s accomplishments. 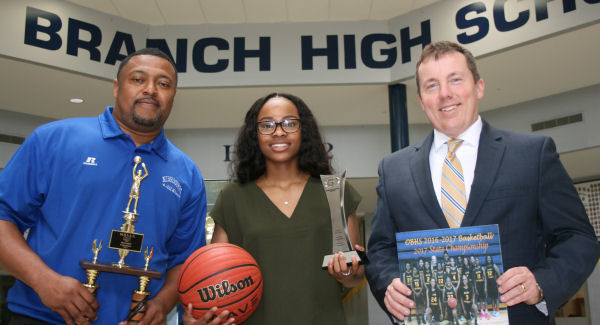 On learning of Myah’s latest accolades, Superintendent Cory Uselton visited Olive Branch High School to congratulate her. From left, OBHS Coach Jason Thompson, Myah Taylor and Superintendent Cory Uselton. 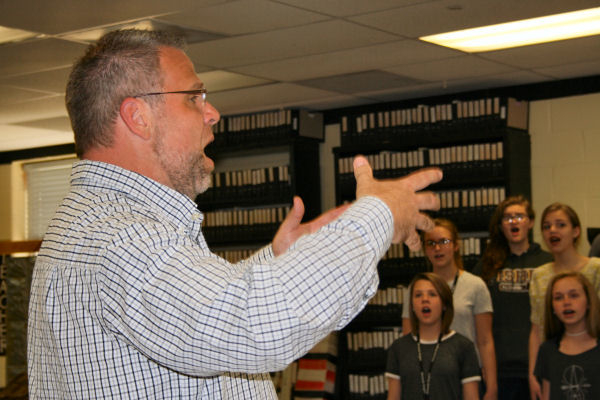 Hernando Middle School’s Choral Director has been recognized for his significant and lasting contributions to the field of music education. Mississippi Music Educator of the Year from the Mississippi Music Educators’ Association. Stiff criteria were required to win any of these awards, much less three, including the respect and admiration of colleagues and students alike. The Mississippi Music Educators’ Association and the Mississippi Chapter of the American Choral Directors’ Association hold a joint conference. Neither organization knew they were presenting their top award to the same person. Norris returned from the conference to find that his alma mater named him “Educator of the Year” for Mississippi. Reese received his undergraduate degree in music education from Delta State University and a master’s degree from Florida State University. “Reese is an excellent music educator. He cares a lot about his students, and the students know it,” said Chase. What are secrets of his success? 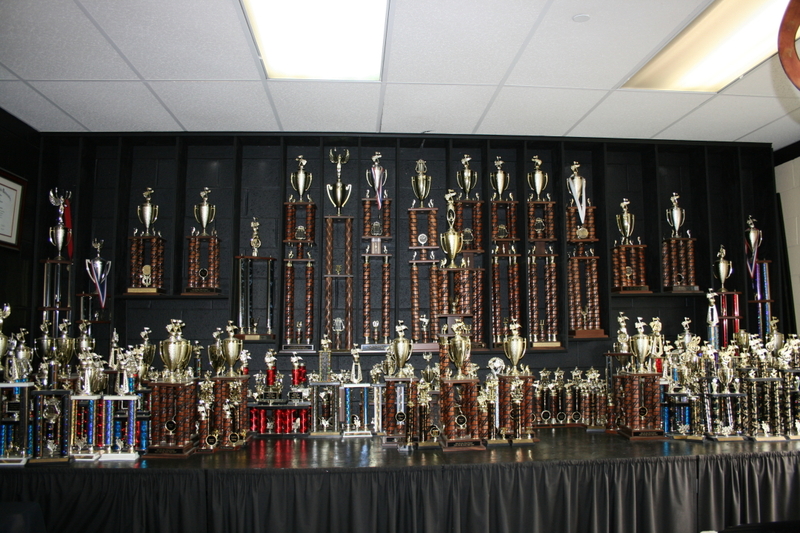 Under his direction, the Hernando Singers have performed in Carnegie Hall and at numerous national conferences. His singers are four time Grand Champions of the Ole Miss Choral Festival. 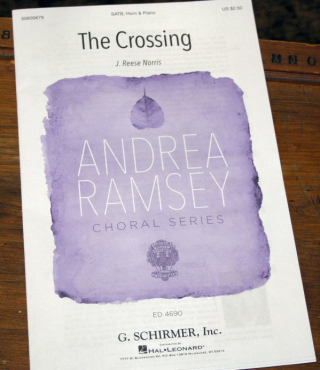 As co-founder and co-director of the Northwest Mississippi Youth Chorale and CoroRio, Reese has conducted several concert tours of Western Europe. Eighteen of Norris’ original compositions have been published, many of them commissions. How can he top these honors? Next May, Reese Norris will conduct a National Honor Choir at Carnegie Hall in New York. 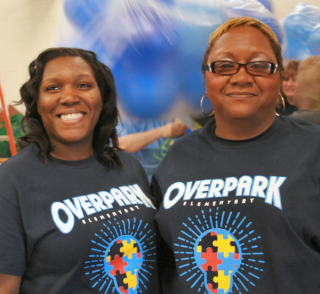 Overpark Elementary PTO is leading students up, up and away to raise money for autism awareness through the ARC of Northwest Mississippi. 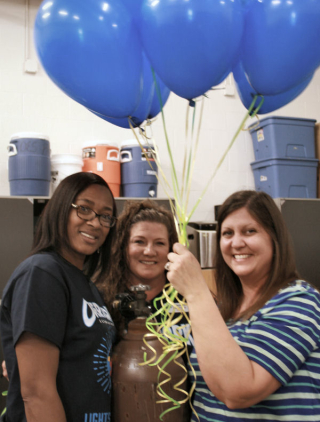 OES’ PTO spent hours filling 800 helium balloons, one for every student and a few extra, to kick off a month long celebration to understand autism. 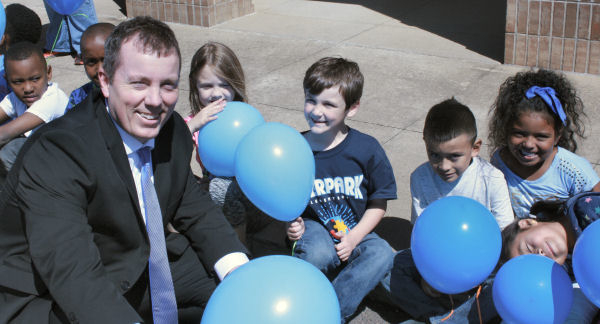 Hallways were decorated, parents and teachers wore special shirts and bracelets, and the entire school went outside for a magical moment when all balloons were released. 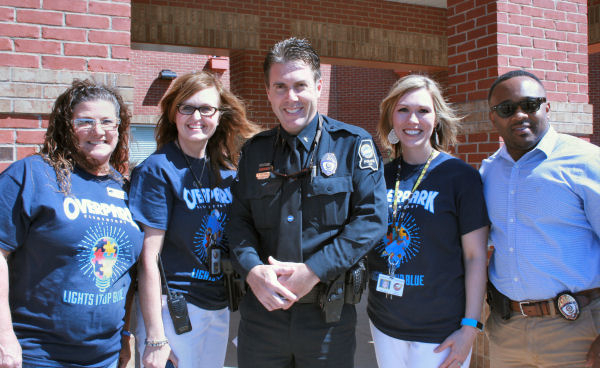 Representatives from the Olive Branch Police Department joined the students to oversee and coordinate the event. for individuals of all ages with intellectual and developmental disabilities and their families. The focus was teaching students safe practices through a variety of activities at Hope Sullivan Elementary School. The coordinator of the program was Mississippi State University Extension Service. 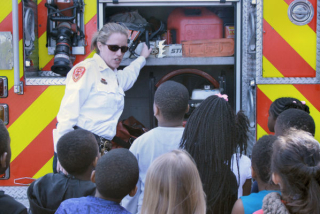 Jessica Lindsey, Extension Agent in DeSoto County, set up five stations for students to visit and was supported by a number of helpers, including the DeSoto County Sheriff’s Department, DeSoto County Animal Control, and the Southaven Fire Department. Ginger Cook, an Extension Agent from Panola County, taught students about bicycle safety. She included the importance of wearing a helmet, following road rules and having the correct bicycle size. The Animal Safety station was manned by Monica Monk with the DeSoto County Animal Control. She explained to the young students that you always ask before you touch an animal, and you take time to observe the animal’s body language before you come too close. The Hidden Hazards or Chemical Safety Station taught students to be cautious when seeing liquids in unmarked containers. Laura Brumbaugh works for the MSU Extension Service in Tate County and advised students to not touch cleaning supplies. 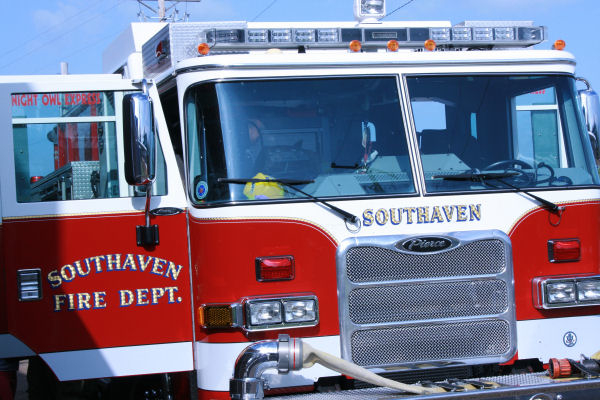 Southaven Fire Department sent a firetruck and four firemen to discuss fire safety as well as let all students explore the truck. Jessica Lindsey said the Mississippi State University Extension Service offers a number of other safety programs and may be contacted at Jessica.lindsey@msstate.edu or 662-469-8480 to schedule a visit. There is one overall Parent of the Year winner for DeSoto County Schools but there were 39 finalists from individual schools. 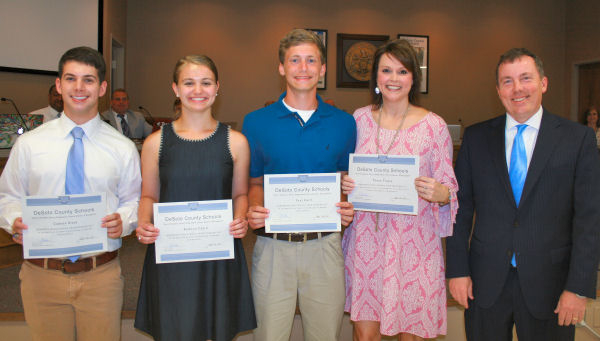 These finalists were recognized by the Board of Education in Hernando with a reception. 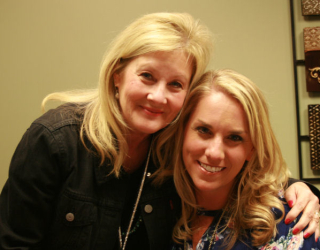 DeSoto Family Dental Care of Hernando sponsored the reception for parents and friends in a packed boardroom. Superintendent Cory Uselton recognized each school winner and presented them a certificate for their dedication and service. 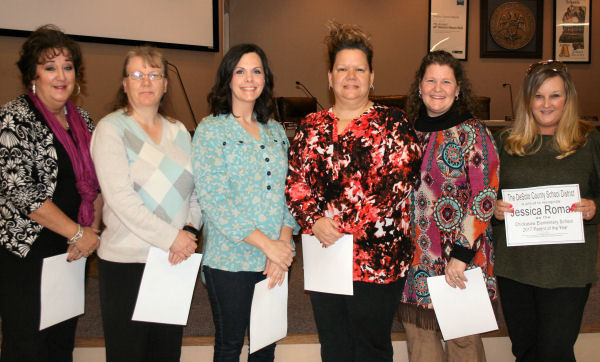 Susan Stuber--Career & Technical Center East; Cynthia (Cindy) Pearson--Career & Technical Center West; Michelle Stansfield--Center Hill Elementary; Rhonda Betts--Center Hill High; Cheryl Buckley--Center Hill Middle; and Jessica Roman--Chickasaw Elementary. Kerri Meine--DeSoto Central High; Kim Robinson--DeSoto Central Middle; Casey LaFoe--DeSoto Central Primary; Melissa Funderburk--Greenbrook Elementary; Carol May--Hernando Elementary. LaDonna Worthing--Hernando High School; Emily Parker--Hernando Hills Elementary; Amy Chatham--Hernando Middle; Nikki Gross--Hope Sullivan Elementary; Kasheena Conner--Horn Lake Elementary; Phyllis Logan--Horn Lake High. Patricia Brinkley--Horn Lake Middle; Robert Dow--Lake Cormorant High; Jennifer Cole--Lake Cormorant Middle; Tamra Walendzik--Lewisburg Elementary; Sheila King--Lewisburg Middle; Felicia Peek--Lewisburg Primary. 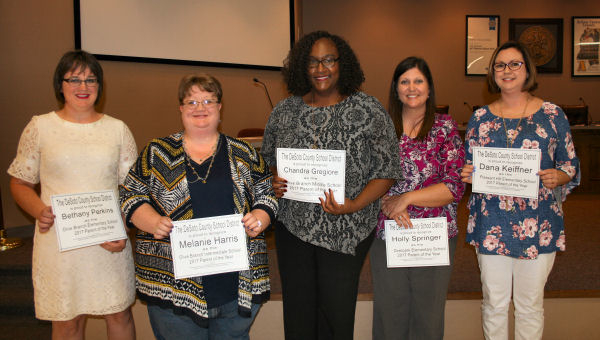 Bethany Perkins--Olive Branch Elementary; Melanie Harris--Olive Branch Intermediate; Chandra Gregiore--Olive Branch Middle; Holly Springer--Overpark Elementary; Dana Keiffner---Pleasant Hill Elementary. 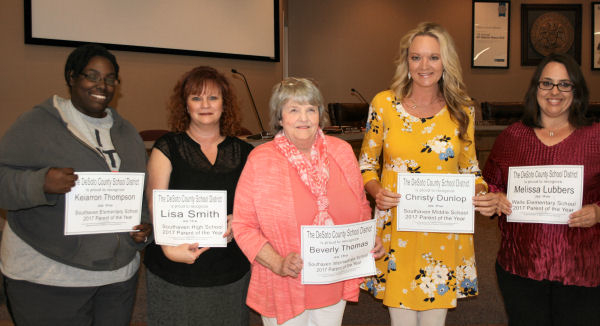 Keiarron Thompson--Southaven Elementary; Lisa Smith--Southaven High; Beverly Thomas--Southaven Intermediate; Christy Dunlop--Southaven Middle; Melissa Lubbers--Walls Elementary. 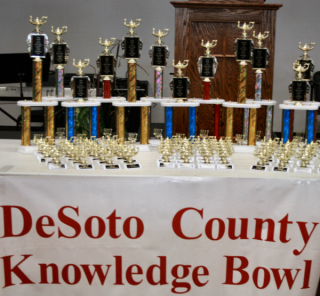 Twenty-five years ago DeSoto County Schools started “Knowledge Bowl” to review for state tests. 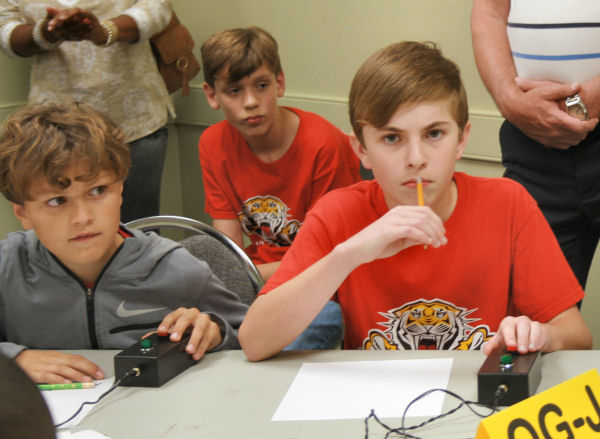 Using a buzzer and adding the excitement of competition between schools changed a review into a tournament, according to Emily Nelson, DCS director of Leadership Development. Today, Knowledge Bowl involves a week of competition among fourth through eighth grade students. 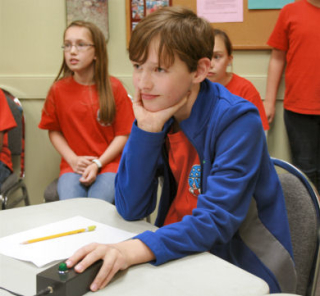 Primarily a “Spotlight” competition, gifted students are pushed to quickly recall answers to academic questions or current events. For the first time in 25 years, the Pleasant Hill Elementary and Oak Grove Central Elementary teams had a tie. Both teams earned 610 points in seven rounds. There are 20 questions per round and a team is awarded 10 points for each right answer. 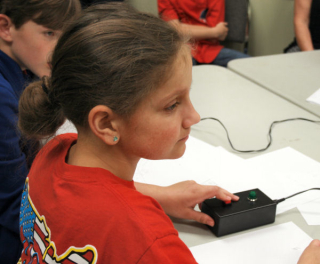 Due to the tie, the two teams entered a “Wild Card” round, and Pleasant Hill Elementary was declared the winner. If A=7, B=9, and C=11. Find the value of BC-A. Answer: 92. 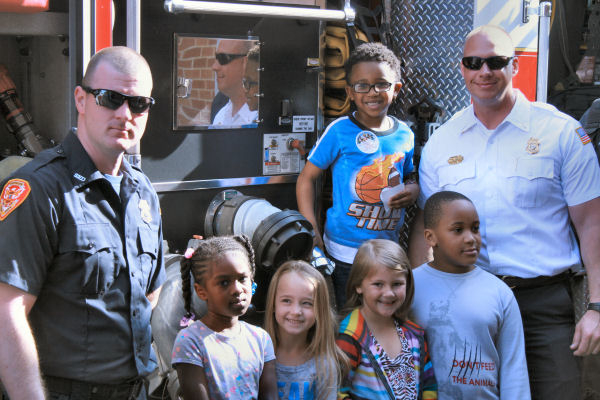 More than 560 students participated in the event held at Longview Point Baptist Church. The event tested students’ knowledge of geography, world history, mathematics, English and other subjects, as well as their ability to recall the facts quickly.